X. Chen, J.A. Rogers, S.P. Lacour, W. Hu and D.-H. Kim, "Materials Chemistry in Flexible Electronics," Chemical Society Reviews 48, 1431-1433 (2019). J. Rogers, Z. Bao and T.W. Lee, "Wearable Bioelectronics: Opportunities for Chemistry," Accounts of Chemical Research 52, 521-522 (2019). H. Zhang, P. Gutruf, K. Meacham, M.C. Montana, X. Zhao, A.M. Chiarelli, A. Vazquez-Guardado, A. Norris, L. Lu, Q. Guo, C. Xu, Y. Wu, H. Zhao, X. Ning, W. Bai, I. Kandela, C.R. Haney, D. Chanda, R.W. Gereau IV and J.A. 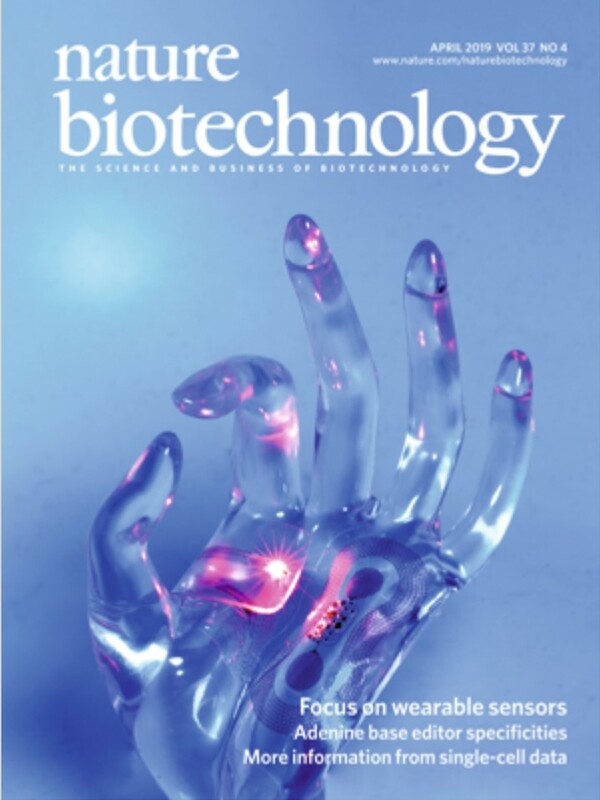 Rogers, "Wireless, Battery-Free Optoelectronic Systems as Subdermal Implants for Local Tissue Oximetry," Science Advances 5: eaaw0873 (2019). L. Tian, B. Zimmerman, A. Akhtar, K.J. Yu, M. Moore, J. Wu, R.J. Larsen, J.W. Lee, J. Li, Y. Liu, B. Metzger, S. Qu, X. Guo, K.E. Mathewson, J.A. Fan, J. Cornman, M. Fatina, Z. Xie, Y. Ma, J. Zhang, Y. Zhang, F. Dolcos, M. Fabiani, G. Gratton, T. Bretl, L.J. Hargrove, P.V. Braun, Y. Huang and J.A. 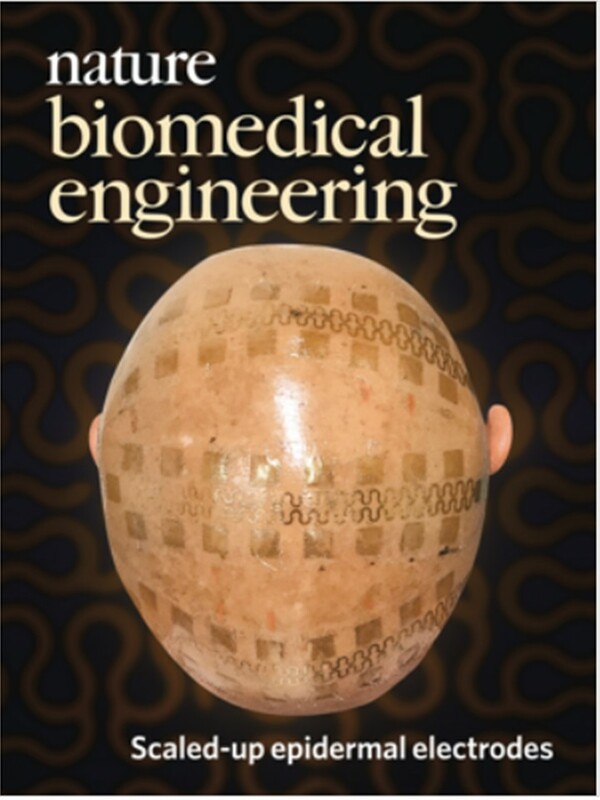 Rogers, "Large-area MRI-Compatible Epidermal Electronic Interfaces for Prosthetic Control and Cognitive Monitoring," Nature Biomedical Engineering 3, 194-205 (2019). D. Estrada, Z. Li, G.-M. Choi, S.N. Dunham, A. Serov, J. Lee, Y. Meng, F. Lian, N.C. Wang, A. Perez, R.T. Haasch, J.-M. Zuo, W.P. King, J.A. Rogers, D.G. Cahill and E. Pop, "Thermal transport in layer-by-layer assembled polycrystalline graphene films," npj 2D Materials and Applications 3, Article number: 10 (2019). H.U. Chung, B.H. Kim, J.Y. Lee, J. Lee, Z. Xie, E.M. Ibler, K.H. Lee, A. Banks, J.Y. Jeong, J. Kim, C. Ogle, D. Grande, Y. Yu, H. Jang, P. Assem, D. Ryu, J.W. Kwak, M. Namkoong, J.B. Park, Y. Lee, D.H. Kim, A. Ryu, J. Jeong, K. You, B. Ji, Z. Liu, Q. Huo, X. Feng, Y. Deng, Y. Xu, K.-I. Jang, J. Kim, Y. Zhang, R. Ghaffari, C.M. Rand, M. Schau, A. Hamvas, D.E. Weese-Mayer, Y. Huang, S.M. Lee, C.H. Lee, N.R. Shanbhag, A.S. Paller, S. Xu and J.A. Rogers, "Binodal, Wireless Epidermal Electronic Systems With In-Sensor Analytics for Neonatal Intensive Care," Science 363, 6430, eaau0780 (2019). T. Ray, J. Choi, J. Reeder, S.P. Lee, A.J. Aranyosi, R. Ghaffari and J.A. Rogers, "Soft, Skin-Interfaced Wearable Systems for Sports Science and Analytics," Current Opinion in Biomedical Engineering 9, 47-56 (2019). J. Choi, A.J. Bandodkar, J.T. Reeder, T.R. Ray, A. Turnquist, S.B. Kim, N. Nyberg, A. Hourlier-Fargette, J.B. Model, A.J. Aranyosi, S. Xu, R. Ghaffari and J.A. Rogers, "Soft, Skin-Integrated Multifunctional Microfluidic Systems for Accurate Colorimetric Analysis of Sweat Biomarkers and Temperature," ACS Sensors 4, 379-388 (2019). K. Li, X. Cheng, F. Zhu, L. Li, Z. Xie, H. Luan, Z. Wang, Z. Ji, H. Wang, F. Liu, Y. Xue, C. Jiang, X. Feng, L. Li, J.A. Rogers, Y. Huang and Y. Zhang, "A Generic Soft Encapsulation Strategy for Stretchable Electronics," Advanced Functional Materials 29, 1806630 (2019). X. Wang, X. Guo, J. Ye, N. Zheng, P. Kohli, D. Choi, Y. Zhang, Z. Xie, Q. Zhang, H. Luan, K. Nan, B.H. Kim, Y. Xu, X. Shan, W. Bai, R. Sun, Z. Wang, H. Jang, F. Zhang, Y. Ma, Z. Xu, X. Feng, T. Xie, Y. Huang, Y. Zhang and J.A. Rogers, "Freestanding 3D Mesostructures, Functional Devices, and Shape-Programmable Systems Based on Mechanically Induced Assembly with Shape Memory Polymers," Advanced Materials 31, 1805615 (2019). J.T. Reeder, J. Choi, Y. Xue, P. Gutruf, J. Hanson, M. Liu, T. Ray, A.J. Bandodkar, R. Avila, W. Xia, S. Krishnan, S. Xu, K. Barnes, M. Pahnke, R. Ghaffari, Y. Huang and J.A. Rogers, "Waterproof, Electronics-Enabled, Epidermal Microfluidic Devices for Sweat Collection, Biomarker Analysis, and Thermography in Aquatic Settings," Science Advances 5: eaau6356 (2019). A.D. Mickle, S.M. Won, K.N. Noh, J. Yoon, K.W. Meacham, Y. Xue, L.A. McIlvried, B.A. Copits, V.K. Samineni, K.E. Crawford, D.H. Kim, P. Srivastava, B.H. Kim, S. Min, Y. Shiuan, Y. Yun, M.A. Payne, J. Zhang, H. Jang, Y. Li, H.H. Lai, Y. Huang, S.-I. Park, R.W. Gereau and J.A. Rogers, "A Wireless Closed-Loop System for Optogenetic Peripheral Neuromodulation," Nature 565, 361-365 (2019). K. Nan, H. Wang, X. Ning, K.A. Miller, C. Wei, Y. Liu, H. Li, Y. Xue, Z. Xie, H. Luan, Y. Zhang, Y. Huang, J.A. Rogers, and P.V. Braun, "Soft Three-Dimensional Microscale Vibratory Platforms for Characterization of Nano-Thin Polymer Films," ACS Nano 13, 449-457 (2019). J. Li, R. Li, H. Du, Y. Zhong, Y. Chen, K. Nan, S.M. Won, J. Zhang, Y. Huang and J.A. 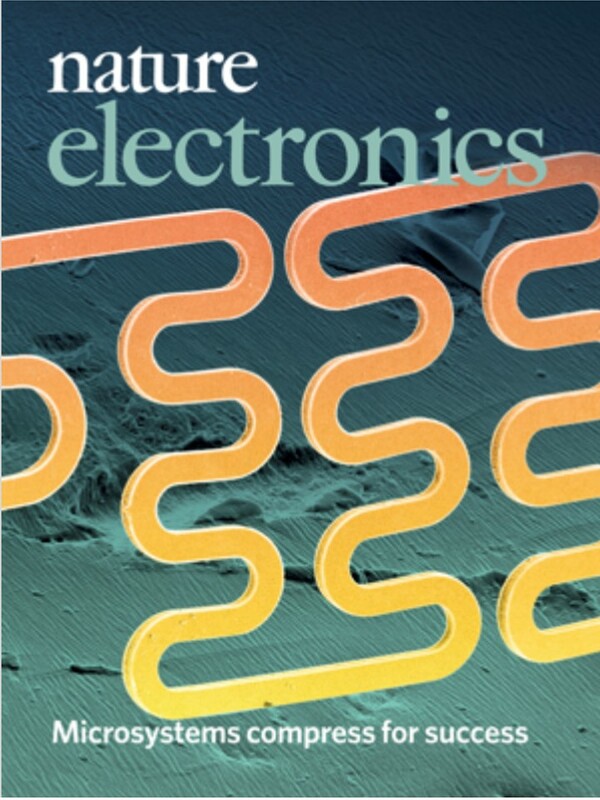 Rogers, "Ultrathin, Transferred Layers of Metal Silicide as Faradaic Electrical Interfaces and Bio?uid Barriers for Flexible Bioelectronic Implants," ACS Nano 13, 660-670 (2019). A.J. Bandodkar, P. Gutruf, J. Choi, K.H. Lee, Y. Sekine, J.T. Reeder, W.J. Jeang, A.J. Aranyosi, S.P. Lee, J.B. Model, R. Ghaffari, C.-J. Su, J.P. Leshock, T. Ray, A. Verrillo, K. Thomas, V. Krishnamurthi, S. Han, J. Kim, S. Krishnan, T. Hang, J.A. Rogers, "Battery-free, Skin-interfaced Microfluidic/Electronic Systems for Simultaneous Electrochemical, Colorimetric and Volumetric Analysis of Sweat," Science Advances 5: eaav3294 (2019). H. Zhang and J.A. Rogers, "Recent Advances in Flexible Inorganic Light Emitting Diodes: From Materials Design to Integrated Optoelectronic Platforms," Advanced Optical Materials 7, 1800936 (2019). M. Han, H. Wang, Y. Yang, C. Liang, W. Bai, Z. Yan, H. Li, Y. Xue, X. Wang, B. Akar, H. Zhao, H. Luan, J. Lim, I. Kandela, G.A. Ameer, Y. Zhang, Y. Huang and J.A. Rogers, "Three-Dimensional Piezoelectric Polymer Microsystems for Vibrational Energy Harvesting, Robotic Interfaces and Biomedical Implants," Nature Electronics 2, 26-35 (2019). F. Liu, Y. Chen, H. Song, F. Zhang, Z. Fan, Y. Liu, X. Feng, J.A. Rogers, Y. Huang, and Y. Zhang, "High Performance, Tunable Electrically Small Antennas through Mechanically Guided 3D Assembly," Small 15, 1804055 (2019). W.D. Chen, S.-K. Kang, W.J. Stark, J.A. Rogers and R.N. Grass, "The Light Triggered Dissolution of Gold Wires using Potassium Ferrocyanide Solutions Enables Cumulative Illumination Sensing," Sensors and Actuators B: Chemical 282, 52-59 (2019).